Well, I went and got a life, and it is pretty darn tiring to manage. I have been so busy lately, really trying to balance all aspects of my life in the past month. -Applications and preparations for next semester. -Keeping up with the exciting things happening in K-pop. -Maintaining two blogs and preparing for this month of blogging every day. -Setting actual deadlines for my writing for the first time in my life. It’s been insane. March, and now April, both feel like literally the busiest months of my life. On the plus side, I haven’t experienced a single moment of boredom in the past month. When my body isn’t physically going somewhere or doing something, my mind has been on the different things I’ve been needing to do – in only somewhat of an anxiety-inducing way. The down side: little sleep and lots of getting sick. And being hours late with an A to Z post. I like having things to do, because with each accomplishment I get a sense of joy, and with each prospective project I take on I get a tingle of excitement. However, with each item to add to the to-do list, I get a little anxiety. With every moment of cancelling with friends because of something I have to work on, I push them away little by little. With every night that I stay up just an hour later for finish an assignment because I’ve been blogging all day, I lose an hour of sleep. Getting a life is great. I don’t miss my moments of boredom and uselessness at all. I just miss sleep. And not constantly having something I have to do. To those of you older than me telling to me to just wait because it only gets better, I know. 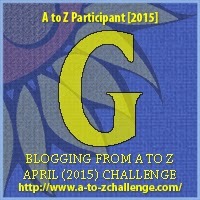 This entry was posted in Uncategorized and tagged a to z, blogging from a to z, get a life, time management.